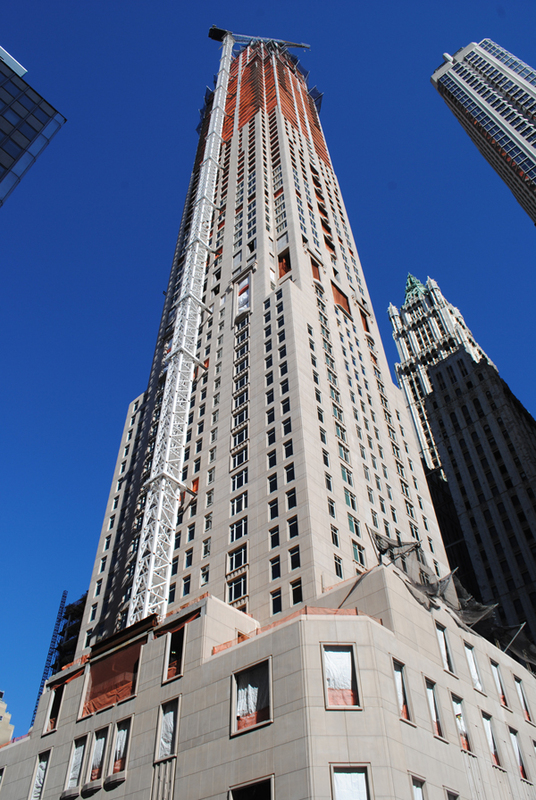 Back in January, it was reported that 30 Park Place had topped-out. That was not true, as the building still had several floors and mechanical space left to go before reaching its actual parapet, 937 feet above the Manhattan streets below. But now, the final pieces of the superstructure have fallen into place, and 99 Church Street has officially reached its final height. The project is also known as the Four Seasons Hotel and Residences, and formerly went by the address of 99 Church Street. 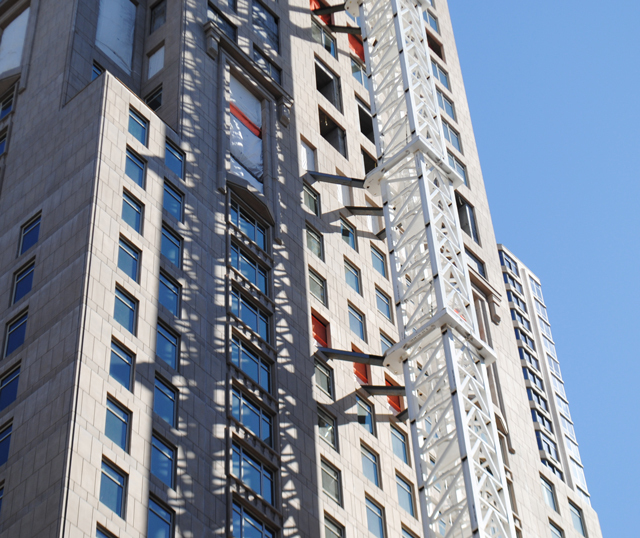 Its 67 floors are split between 185 hotel rooms on lower levels and 157 condominiums on the upper floors. 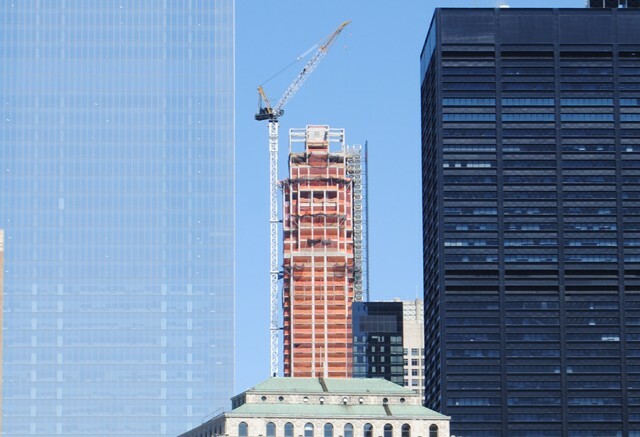 30 Park Place will not have any sort of spire or flourish atop its final floors, but the pinnacle is still much more attractive than most flat-topped new buildings in the city. The building’s form subtly tapers as it reaches its final levels, and the rooftop watertanks and mechanicals will be hidden behind a limestone edifice. 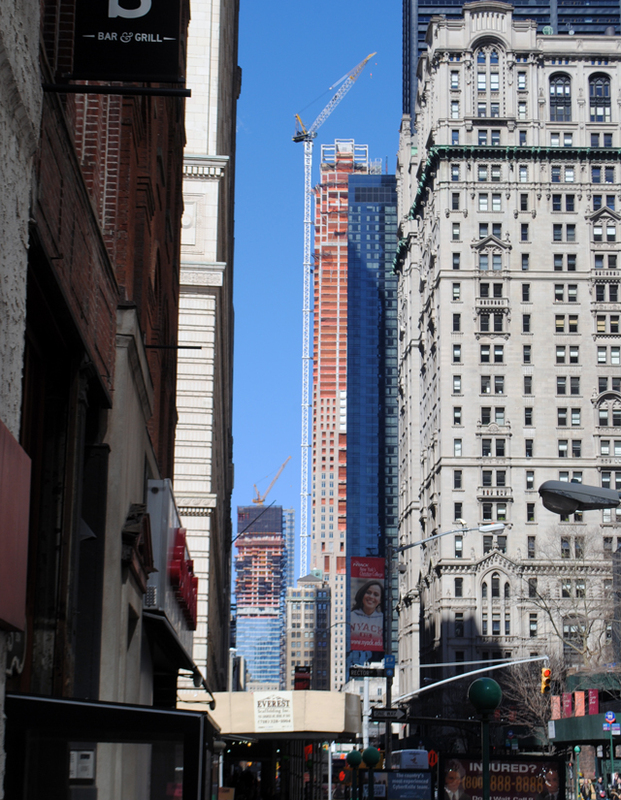 This kind of consideration is especially important when the tower’s roof will be so visible, given its current status as the tallest residential building in Lower Manhattan, a crown it only recently took from the Frank Gehry-designed 8 Spruce Street. The reign of 30 Park Place atop the residential rankings for Lower Manhattan may be even shorter lived than 8 Spruce’s time at the top of the list, which lasted from 2009 until this year. Taller projects are possibly in the works at 125 Greenwich Street, and also at 80 South Street, where Howard Hughes has an excellent opportunity to show how insane the NIMBYs opposing their other neighborhood tower actually are (at the Seaport). As for 30 Park Place, completion is likely either late this year or early next. Silverstein is the developer, and Robert A.M. Stern is the architect.